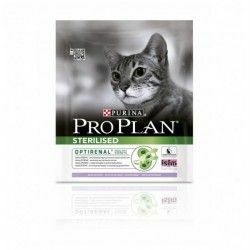 Meat and animal by-products (of which chicken 4%), sub-Products of vegetable origin, mineral Substances, sugars. mg/kg: Faith(E1):10 ; I(E2) 0,2;Cu(E4):0,9;Mn(E5):1,9; Zn (E6):10. 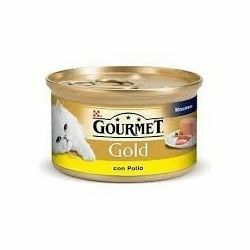 Description: Purina Gourmet Gold is a delicious recipe for demanding cats, in the form of a mousse.